A shabby chic range of flowers to add to your creations. 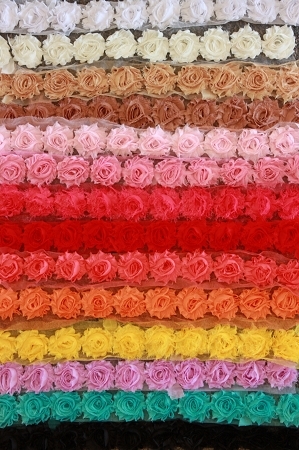 Flowers are sold in lots of 10 of the same colourways. To see the colours, please view the photo gallery. Please note that these flowers have frayed edges & shouldn't be used on creations that need washing or even more fraying will occur. Best used for headbands, brooches, scrapbooking etc.